Sunflowers growing in front of the mound at Parkin Archeological State Park. Photograph by Jodi A. Barnes, 2016. 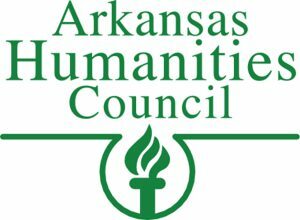 This project was supported in part by the Arkansas Humanities Council, the National Endowment for the Humanities, the Southeastern Archaeological Conference, and the Arkansas Archeological Society. We are grateful for their support. In addition, we would like to thank Katy Gregory, Rachel Whitman, Shelle Stormoe (Arkansas Historic Preservation Program), Allison Reavis (Arkansas Historic Preservation Program), Sarah Matlock (Glen Rose Middle School), and Brynn Sims (Oakdale Middle School, Rogers). Thanks to Larry Porter and Jane Kellett (Arkansas Archeological Survey) for the beautiful illustrations. Thanks to Lydia Iris Rees (Arkansas Archeological Survey) and Denise Baldwin (University of Arkansas at Monticello) for reading early drafts of this curriculum and providing thoughtful feedback. Carol Colannino-Meeks (Southern Illinois University Edwardsville) was influential in the development of this curriculum. Without her initial idea, project planning, grant writing, and thoughtful comments on previous drafts this project would not have happened.